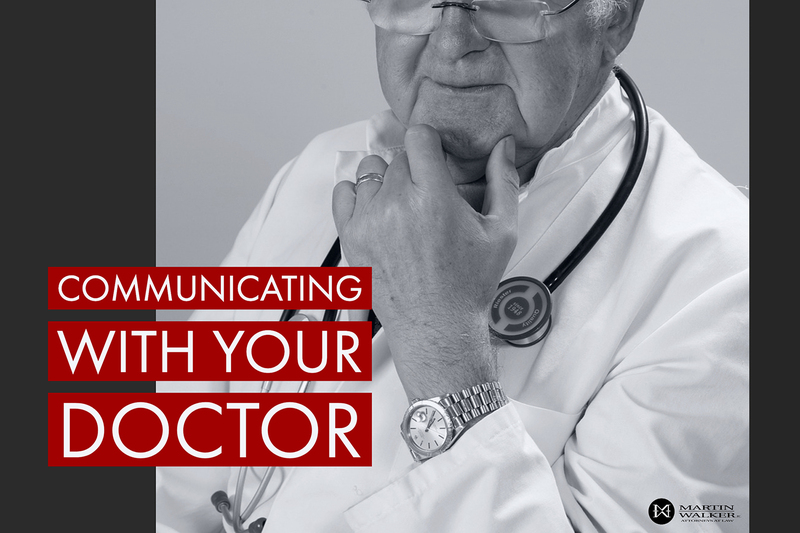 It can be hard to communicate with your doctor, at the same time we put a lot of trust in them, and for good reason. The amount of studying and training they go through is unlike any other profession. Four years of undergraduate studies, followed by four years in medical school. After that another three to seven years in residency training before they are even eligible for a medical license. The reason for this is that the human body is an extremely complicated and intricate system. If one thing is out of place the whole system can get out of sync and serious health issues can arise. This reason alone can put even the most highly trained professional in a situation where they may not know the true reason behind an illness. Unfortunately, this can lead to doctors simplifying issues and not digging deep enough to find the problem. This can lead to patients missing out on treatments that may be the perfect solution to their health problems, and this is an example of medical malpractice. When a doctor makes a careless mistake in their patient’s diagnosis it can mean life or death to a patient. It’s hard for some people to speak up to authority figures in a white coat, and that is why at Martin Walker Law, we want East Texans to feel empowered at their next doctor appointment. There are some warning signs to look out for the next time you see your physician. How to speak up at the doctor’s office. If your doctor says something that is confusing simply ask them to repeat it again for you. If you say something and your doctor seems to misunderstand you and begins to prescribe a treatment too soon, simply ask them why they think that will help with your issue. If the possible side effects of your treatment are unclear ask to see a list before you make a final decision. Another simple solution is to ask someone you can trust if your situation sounds like medical malpractice. Getting a second opinion is important even if it’s about your doctors level of care for you. There have been situations in the past where patients will complain of certain painful symptoms for months or even years while their doctor neglects to find the root cause. This results in the patient having to rush to emergency rooms at the last minute only then to find out what was wrong with them. Just because your doctor is wearing a white coat doesn’t mean he is all knowing. Don’t be afraid to stick up for yourself and ask questions, it could save you or a loved one’s life many years of pain and suffering. If this sounds like something you have had to deal with in the past or even at the current time, don’t hesitate to call our office today for a consultation. We will work with you to find out if you have suffered from medical malpractice and we will help you find your voice and win justice for yourself or your loved one. Call us today (903) 526-1600.